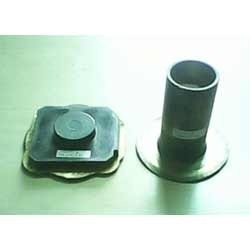 Leading Manufacturer of brass forging refrigeration valves and brass forged components from Faridabad. We specialize in manufacturing a comprehensive collection of Brass forging Refrigeration Valves to our valued clients. Our range of products is widely used in iron and steel industries for various applications. Additionally, we are highly preferred by clients as our products are corrosion resistant and abrasion resistant. Also, our products are manufactured using superior quality raw materials. Our clients can avail these products at very reasonable rates. We also provide customize solution as per the customer requirement. 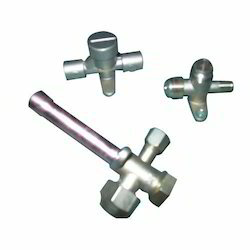 Our clients can avail from us wide assortment of Brass Forged Components for anesthesia and other medicines that are manufactured keeping in mind the specific requirements of clients. Being a customer centric organization we ensure maximum customer satisfaction by our quality assured products. Our products features high purity, high durability and longer service life. Additionally, we offer these products at pocket friendly prices to our esteemed clients. Looking for Brass & Aluminium Forgings for Medical Equipment Industry ?